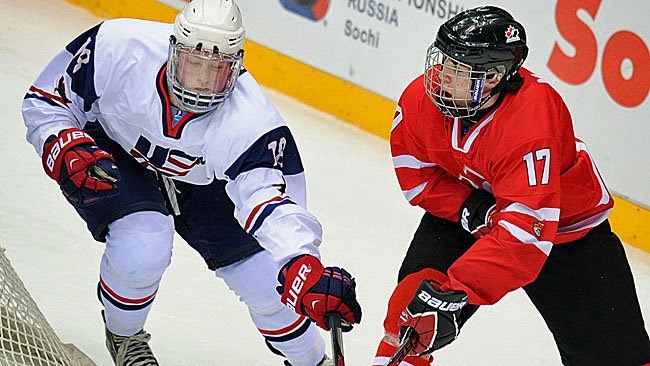 the race for top spot in the 2015 NHL Draft. "Whether it be the Philadelphia Flyers going off the board to take Samuel Morin, the rapid rise of a Swedish blueliner’s stock, or Anthony Duclair slip sliding to the third round, a mock draft can go off the rails quicker than Connor McDavid can execute a wraparound. This draft class could be one for the ages with many pundits comparing it to the revered class of 2003. The draft order is based on each team’s points per game played as of January 9th, 2015 taking into account the differing number of games played by various clubs."